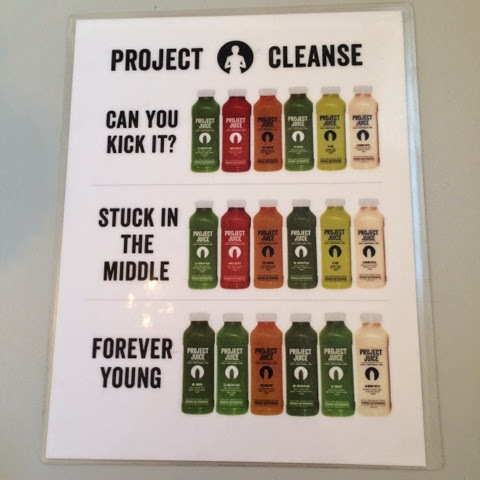 I was lucky enough to attend an amazing Lululemon Event called "Spruce & Juice" where one of our amazing party favors was a juice cleanse from Project Juice. 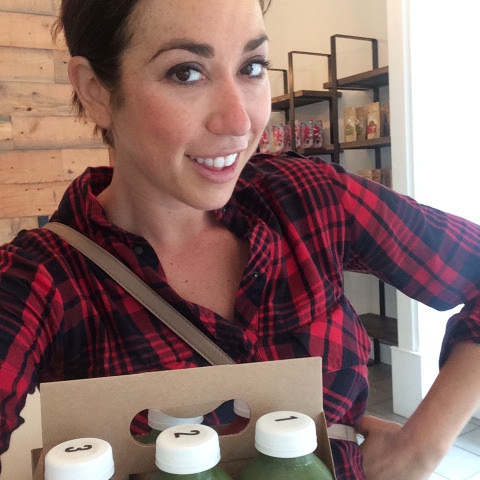 Now as you know, I am a big, big fan of juice cleansing, so I was over the moon for this party favor. I could not wait, and since I was getting married in a few short days, I decided to rush right over and take advantage. 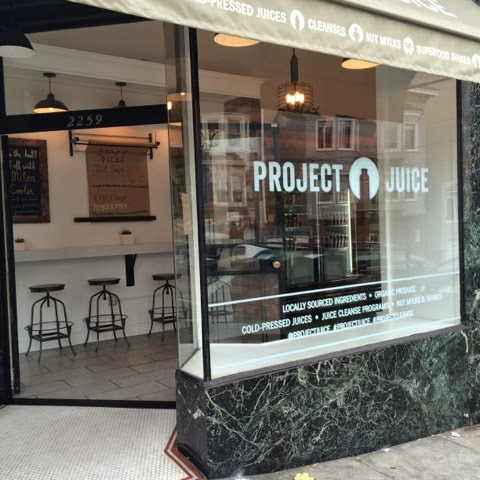 This was my first time at Project Juice and it was love at first sight. 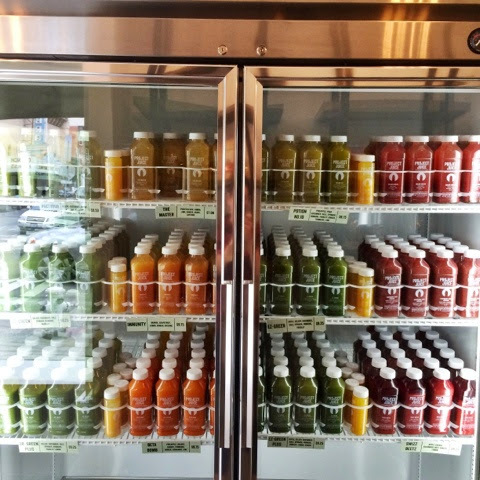 The cool decor, the shiny bottles of delicious fresh juice. I couldn't wait to get started! 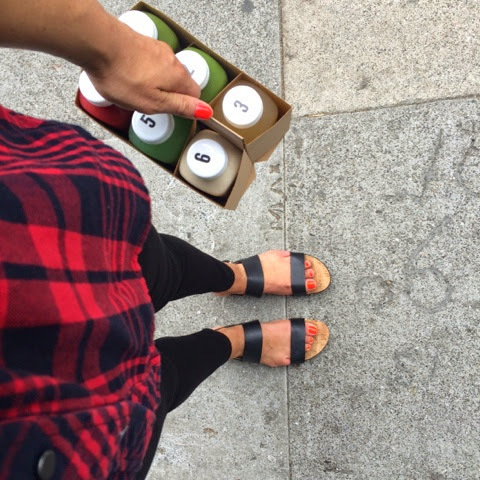 You can't beat the convenience of grab-and-go meals which are also PACKED with nutrients. I chose Stuck in the Middle because I love me a good beet juice and I didn't want to forgo it for another delicious green. 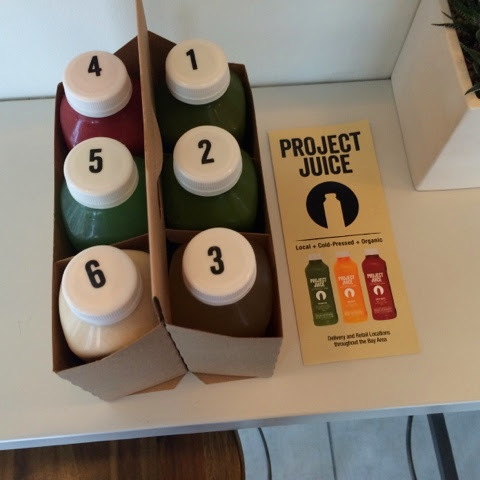 All their juices were fresh and delicious but their "The Master" lemon, cayenne recipe is far and away the most delicious I have tried (and I have tried A LOT) I was also a huge huge fan of the Swizz Beetz. 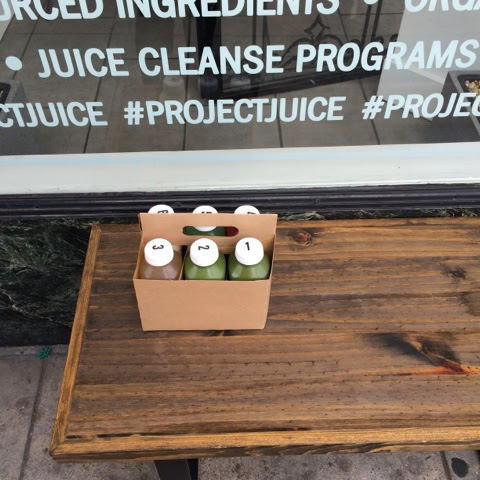 Basically they were all spectacular and none of them had that "green" flavor that turns people off of fresh juice. Thanks again so much! 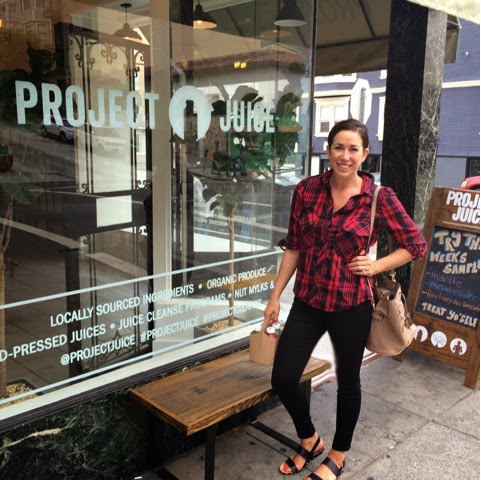 Cannot wait to go back again for more juice, and try out their brand new line of healthy meals!! Also, they have a special offer where if you like them on Facebook and then order online you'll get $10 off.